On Monday, the founders of Instagram announced they were leaving to focus on new opportunities. To the surprise of no one, it’s looking like the problem was the CEO of Instagram’s parent company, Facebook. And with those meddlesome founders out of the way, users should worry about a Facebook-ified Insta. Lately, they were frustrated with an uptick in day-to-day involvement by Zuckerberg, who has become more reliant on Instagram in planning for Facebook’s future, said the people, who asked not to be identified sharing internal details. Recode’s sources also confirmed that Systrom and Krieger’s resignation comes ‘amid frustration and agitation with Facebook CEO Mark Zuckerberg’s increased meddling and control over Instagram.” They also said that it’s expected that Facebook executives will be brought in to fill the empty roles. When asked for comment on this story, Facebook sent a brief statement from Zuckerberg in which he praised his former colleagues and said, “I’ve learned a lot working with them for the past six years and have really enjoyed it.” Zuckerberg is always telling us how much he’s learned while he destroys the things people like about his products. For now, Krieger and Systrom are sticking with a fairly standard statement that said they’ll be taking some time off to plan a new project. “Building new things requires that we step back, understand what inspires us and match that with what the world needs; that’s what we plan to do,” they wrote. The split between Facebook and WhatsApp founders Jan Koum and Brian Acton was so bitter that Koum and Acton reportedly gave up $400 million and $900 million in respective stock rewards just to get out. The Whatsapp founders had deep ideological differences with Facebook over advertising and privacy. In March, Acton tweeted, “It is time. 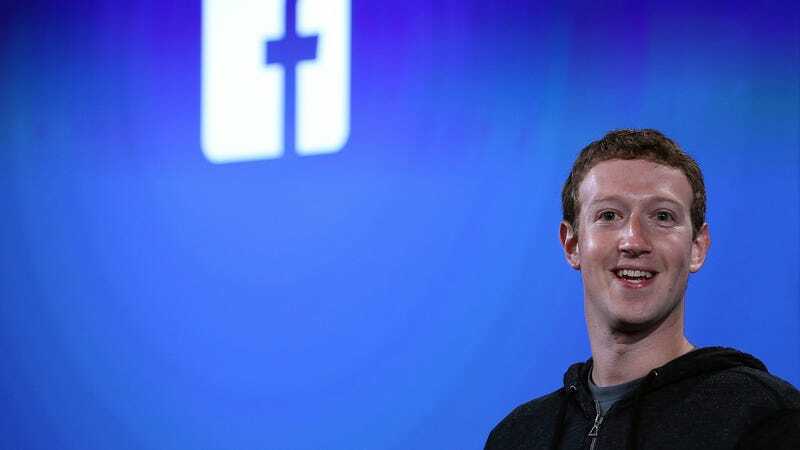 #deletefacebook.” He also donated $50 million to the non-profit encrypted messaging rival, Signal, last November. Whether we’ll see any public sniping from the Instagram founders remains to be seen but trouble has been brewing in the background for quite some time. Instagram has become extremely important to Facebook. With 2.2 billion users, Zuckerberg’s network just doesn’t have much room for growth and its last earnings report sent the stock into a spiral. Teens aren’t interested in Facebook’s core product. And then there are all those issues with privacy violations, election meddling, and genocide. Instagram doesn’t really have those same troubles and one of the biggest reasons is that it’s mostly kept it simple from the beginning. Back in April, Bloomberg profiled Krieger and Systrom, and in hindsight, their departures were already being hinted at. From the beginning, Krieger envisioned a minimal design with as few words as possible. All that was needed was a chronological feed of user photos with the ability to like and comment. They weren’t even collecting user data until Facebook came along. Arguably, Facebook was essential to Instagram’s success in that it taught the company how to be a business and quickly started gathering that precious data and monetizing the hell out of it. Facebook paid around $1 billion in cash and stock for Instagram in 2012. By 2018, Bloomberg valued the company at $100 billion. But focusing on growth and revenue is short money if you piss off users. Snapchat was the millennial darling of Wall Street at one point, before its disastrous redesign. And the Instagram founders have been seen as a check on Zuckerberg’s worst instincts. Krieger and Systrom refused to build look-alike functionality until Zuckerberg personally requested it, according to a person familiar with discussions. Zuckerberg worried that if Instagram didn’t do something to change its product, such as copy Snapchat, it risked missing out on an entire generation of users. A spokeswoman says Instagram “initiated and drove the creation of Stories internally and was not pressured.” Systrom acknowledges there was “tension” over the direction of Instagram, which he’s grateful for. Instagram Stories turned out to be a big success. But IGTV, an effort to take on YouTube with longer-form videos on Instagram, has failed to catch on. Now, Zuckerberg has the task of filling top product and engineering roles at his most promising endeavor and he has two fewer executives to tell him his ideas are bad. Luckily for him, there’s no legitimate Insta-alternative for users to flock to, so he can probably get away with a lot of stupid decisions. But if growth stalls out as it did on Facebook, the only other long-term bet on his plate is VR, and well, the less said about that the better.